ŠKODA Tour de France finishing. 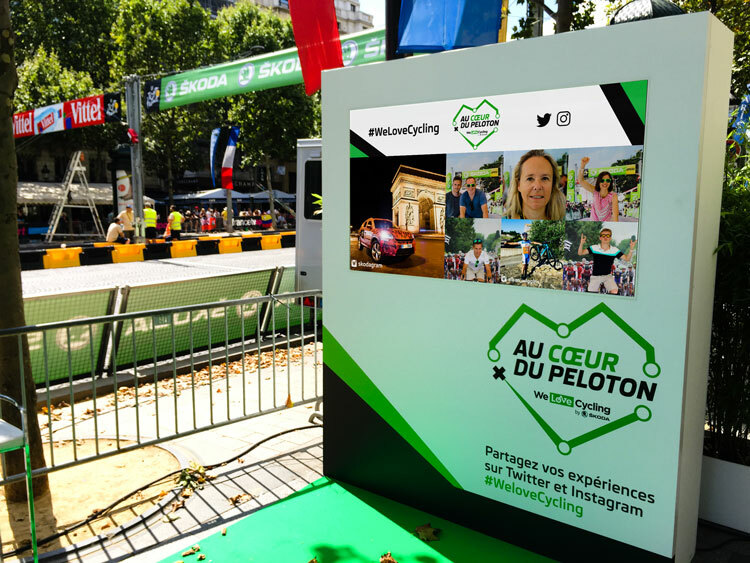 For the Tour de France 2017 finish on the Champs Élysées on 23 July, OuiBeat helped official sponsor ŠKODA digitize its VIP and general public programme with a social media mechanics system, picture marketing and CRM/PRM. The agency delivered a social media hub and photo boomerang activity through its eBorne. Aggregating content from social media, photos and the Facebook app helped gather and qualify contacts from the event before connecting them with the customized CRM/PRM with product offers. The digital experience offered by OuiBeat for ŠKODA supported its desire to qualify its contacts and grow its We Love Cycling community.